Travels and Travails of Small Minds is hilarious,entertaining, and weaves a compelling mystery. I expected good things from Daniel Falatko after Condominium and he didn’t disappoint with this book. This is well-worth picking up. Those cultured vultures have offered up a nice first review of the new novel, coming October 1st. Read it here or the full thing below. 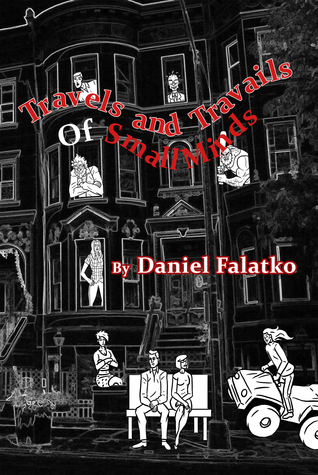 Daniel Falatko returns with a hipster noir for his second novel.